When Girl Scouts of Nassau County was named by AARP to be one of the 50 Best Places to Work in the United States, it merely confirmed what I’ve known for some time—that there is something very special about this place, and I count myself lucky to work here. But what is it that sets us apart from so many other (the 50 choices came from companies big and small, for-profit, and not-for-profit)? Well, for one thing, there is an incredible team work ethic. [Note: I didn’t say ‘teamwork.’ There’s a difference.] It’s not just that people can play nice together when they work on a project. That’s a given. Staff here sees the entire corporate structure as a team, employees and volunteers alike. But day to day, what is it like to work here? After all, no place is perfect, people get in a snit with one another sometimes, and there are other kinks too, but still . . .
needs of the organization and the well-being of the employees. There is shared reward and sacrifice, and because of an “open book” management style, everyone feels an investment and engagement in our shared future. There is an Idea Group whose responsibility it is to generate a positive work environment. This has resulted in on-site car detailing; an annual barbecue; an international celebration of food at Thanksgiving time; a Welcome Wagon for new staff; on-site pick-up and delivery of dry cleaning; rainy day board games; baby picture contests; recipe sharing; book exchange, etc. There is a commitment to wellness promotion for staff: Yoga is offered in ten week sessions; Weight Watchers at Work has been offered on site a number of times; there is a fitness incentive that rewards gym attendance; we have a Healthy Living initiative to coincide with our program focus for the girls this year—a nutritionist will offer advice and help once a week, and our Intranet now has a special section focusing on healthy living tips; free flu shots are offered when possible, and walking clubs are promoted. GSNC staff serve as role models for community service- We have started a recycling program; staff is given a day off for certain volunteer commitments; we have annual food collection programs, clothing drives, and holiday collections for the needy; we promote ride-sharing and car-pooling. Finally, we offer a match to 403(b) contributions, discounts on entertainment offerings, membership in two credit unions, group discounts for auto and homeowner insurance, “cafeteria” flexible spending accounts, lunchtime seminars, 10% family discount at assisted living facilities, very generous leave time (including sick leave to care for family members and emergency leave for bereavement), and free life insurance and long term disability. If you’d like learn more about our formal and informal work policies, give me a call! Susan Caruso is Director of Human Resources at Girl Scouts of Nassau County. Under her leadership Girl Scouts of Nassau County has been named of One of Fifty Best Places to Work by AARP, as well as receiving the Alfred P. Sloane Award for Business Excellence in Workplace Flexibility and the Long Island Family Friendly Employer Award. She has previously taught health sciences as a high school teacher and college professor, and in 1981 co-founded a non-profit organization that was a resource clearinghouse and training center for professionals who worked with families (the Center for Family Resources). Susan can be reached at carusos@gsnc.org. The Girl Scouts of Nassau County stayed on the move… Summer Camp kept girls and their counselors active and involved. The new Low Ropes Course at Camp Blue Bay provided athletic challenges, but it is really all about teaching problem solving and teamwork. Recent upgrades to the Activity Building allowed girls to now be able to hear themselves think while they play. – Although June and July had lots of rain, our Day Campers at Cantiague and Wantagh Parks were able to spend most of their days in the park, with just a few calls to the “rainy day” location. Each of our Day Camps benefit from the great swimming pools in their respective parks, and the Nassau County Parks Department staffers who extend themselves to the Girl Scouts …I salute our colleagues and our Camp Counselors for all they do to further the Girl Scout Mission, and I thank the parents who trust us with the care and guidance of their girls. GSNC also provided Girl Scout Summer Programs via Scoutreach, using Dove’s thoughtful and funUniquely Me curriculum. I had the pleasure of joining my sister staff members in Elmont where I worked with and learned from the inimitable Patricia Pacheco how to engage sixth, seventh and eighth graders on hot days, in rooms that were not air conditioned, and who just might have wished to be somewhere else … Patricia was always able to make a connection and get the girls involved. She and fellow Scoutreachers, Herlinda Vierya and Ruby Gary helped each of us who spend most of our days in the office appreciate the joy of working directly with girls and gave us real insight into the work that do every week, year-round. Back at the Service Center we have been getting ready for the 2009-2010 Girl Scout year … The second of our Journey series is ready launch, It’s Your Planet, Save It! Over 115 adults came to our Girl Scout Open House in August to find out more about Girl Scout programs for their daughters and as new or potential Girl Scout Leaders. We’re working hard on GirlFest, which will be held at the Broadway Mall on Sunday, October 4. – There is the administrative work of registering girls and making sure our Leaders and Service Teams have the information and tools that they need. – Fall Products are ready and waiting! On Monday, August 10th, Girl Scouts of Nassau County held its 25th annual “Go for the Green” Golf Outing. It always amazes me what golfers will endure for their sport. In the 9 years that I have been supporting this event, weather has always been a factor. If it is not hot, in the high 90’s, there is a chance of rain or the humidity is oppressive. Not to mention the freak hail storm we had last year. Yesterday was no exception. Still the golfers come! Golfers are an interesting breed of athletes. What is so amazing is the passion that they bring with them. The passion for the game of golf and for the cause they are supporting. When I think about our honoree, Jim Adelis of Adelis International Security who brought his own brand of passion to GSNC Operation Cookie and then to the golf outing by accepting the role of honoree, I am overwhelmed. He then reached out to his family, friends and colleagues to support the event and the work of GSNC. Anthony Martillotti and Stephen Grieco of Amerisc Corp, the co- chairs of the event also bring their passion to our event. They work so hard throughout the year to make the event a success. They rally their resources and bring their friends and colleagues to the event. They also showed by example how important the Girl Scout movement is to them by sponsoring a campership for girls, taking a sponsorship or reaching into their pockets to purchase additional raffle tickets. Not only that, they are already talking about how to make our event even better next year. They deserve a great big round of applause for all that they do. I also think recognition is needed for each of the individual golfers who played with us. Some are invited as a guest of a corporate supporter while others come as individuals. All are generous, and recognize the work we do. Because of them 9 more girls will be able to go to camp next year. Because of them no girl will be turned away from Girl Scouting since the proceeds of this event offset our financial assistance program. They all deserve a great big THANK YOU! 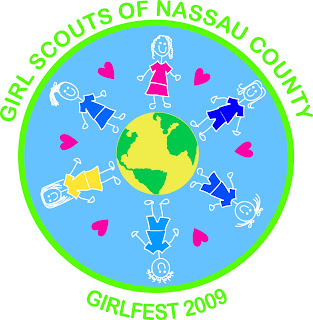 Donna Rivera-Downey is the Director, Marketing for Girl Scouts of Nassau County. She became a professional Girl Scout in 2001 after 22 years in retail banking. A life-long Girl Scout who volunteered her time as a Girl Scout Leader for her daughter. 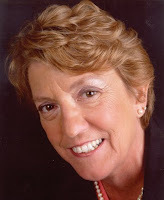 Donna is active in the Hicksville-Jericho Rotary and serve as a trustee on the board of the Hicksville Public Library and Public Relation Professional of Long Island.